John Gugliotta specializes in intellectual property application and prosecution, with experience in patent, copyright and trademark protection services and IP counseling. His experience includes monitoring and guiding of research at the idea stage to determine avenues of patentability, marketability, licensability and enforceability, as well as referral of inventions to joint venturers, OEM production facilities and independent contractors for production and sale. 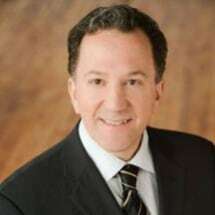 Attorney Gugliotta also specializes in protection and enforcement of their intellectual property, including working with clients in monitoring infringement of patents and trademarks; determining the validity and scope of third party patents in order to provide "right of use" opinions; and counseling on related legal and business options, including licensing, cross licensing, procurement of IP rights in bankruptcy arena, business formation and liability risk management. In addition, attorney Gugliotta offers transactional services, including drafting and negotiating IP license agreements; secrecy, joint development, consulting and indemnification agreements; and business formation services, including business plan development, market research, marketing plan development, and seed financing and startup funding procurement. Attorney Gugliotta is also a professional engineer which allows him to better assist clients in the overall protection of technology based intellectual property.